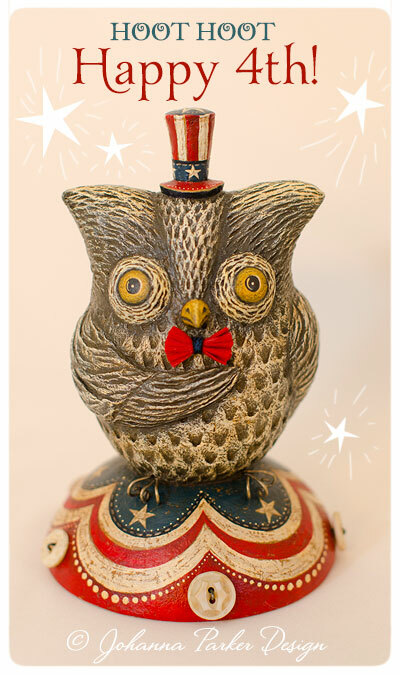 HOOT HOOT * Happy 4th of July! Here's wishing you a very Happy 4th of July from Johanna Parker Design! May it be star-spangled and filled with fire-crackin' fun!